Welcome to Harlem Tours announced a Harlem Jazz Series that will be held every Tuesday from Noon to 2pm, beginning April 17th ($15 admission) ~ and Friday evenings from 7-9pm, beginning May 4th ($20 admission). The weekly events will take place at Greater Calvary Baptist Church, 43-55 West 124th Street, located on the North/West corner of Marcus Garvey Park between Fifth Avenue and Lenox Avenue ~ Harlem. 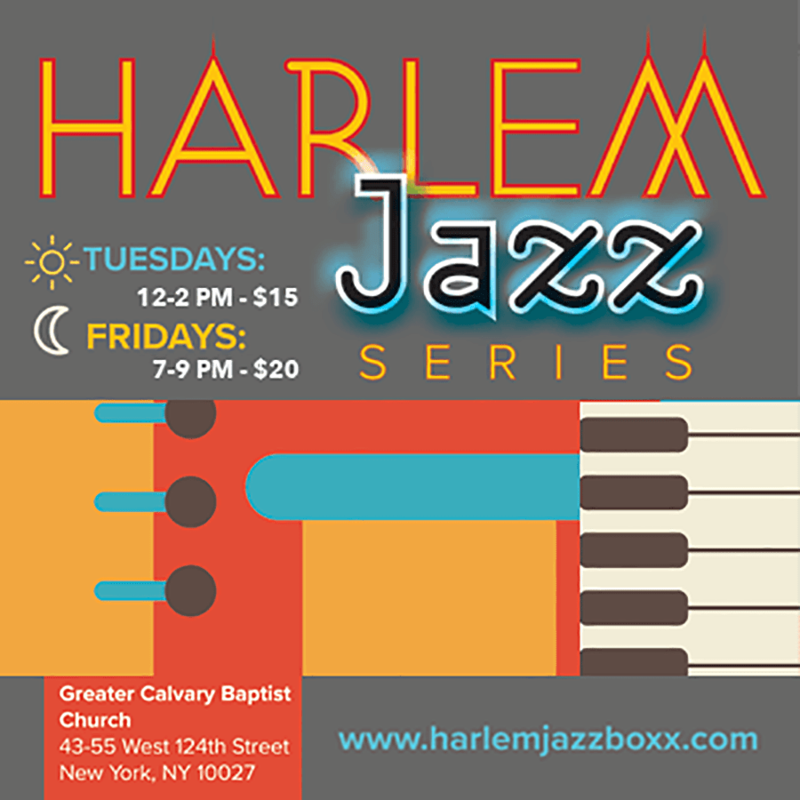 For more information, check their website at Harlem Jazz Boxx.